Outside my bedroom window, flickering like a cheap motel sign, sits my neighbor’s neon Santa, silently signing “Ho,” “Ho Ho,” “Ho Ho Ho,” each flash adding another “Ho” like it’s a new idea or something. The image of Santa—Saint Nick, Kris Kringle, Father Christmas—reigns supreme from November to January, or, in Winona, MN, from late August to January. But what about Krampus? Apparently, Krampus—who, like Santa, goes by many names—was once, more benignly, Santa’s sidekick, “a devil-like figure who drove away evil spirits during the Christian holiday season.” But more often, he was Santa’s bad cop. 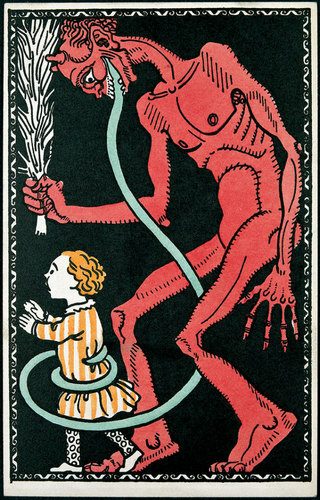 Santa rewarded the good children with presents, while Krampus whipped and punished the bad ones—or, in a calculated bit of symmetry, Santa carried presents in his sack, while Krampus carried an empty sack, not to steal presents a la The Grinch but rather to carry off bad children for his supper. I never heard of Krampus until two days ago. And I don’t celebrate Christmas, so I don’t have a horse in this race anyway. But I’ve been thinking about Krampus. 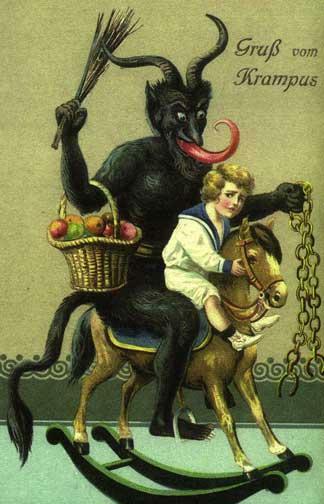 (I also had a dream about him, but my stomach hurt when I went to bed, so I suspect it was my unconscious telegraphing the word “cramps.”) I’m concerned about what seems to be the disappearance of Krampus. Santa has come to dominate the season with a red, velvet fist, the sole survivor of a symbolic vanishing twin syndrome. But Santa’s ascendancy seems directly tied to the overall criticisms of saccharine sanctimony and crass commercialism endemic to the season. Clearly, adults should not terrorize their children into petrified obedience. When I posted a Krampus link on Facebook yesterday, two friends, Abbie and Johannes —not surprisingly, of Eastern European and Austrian origin, respectively—had indeed heard of Krampus, and they felt their childhood shivers return at the sight of him. But the appropriate comparison for me is to Andrew Delbanco’s book and idea of “the Death of Satan”: not the need to sow fear, as much as the metaphorical need to embody, rather than rationalize or ironize, the very idea of evil. Delbanco worries that the death of Satan—or, I’ll add, his Christmas collector’s edition, Krampus—is a kind of death of metaphor itself, and that convincing the world that he is gone—whether through secular humanism’s intellectual embarrassment or Christian fundamentalism’s demonizing of others rather than looking inward to find evil—would indeed be Satan’s greatest trick of all. Ridding the world of Krampus does not purge the world of what he represents. As that other great Pagan-derived holiday, Halloween, shows, great good can come from receiving, and even identifying with, the bad. Does any verse strike more fear in the hearts of American children? Do we want Santa to embody Foucault’s Panopticon, the totalitarian, police state? When one figure embodies both reward and punishment, carrots and sticks, it does not just effect the death of Satan. It also produces a kind of death of Santa, just a little. Ho ho ho. 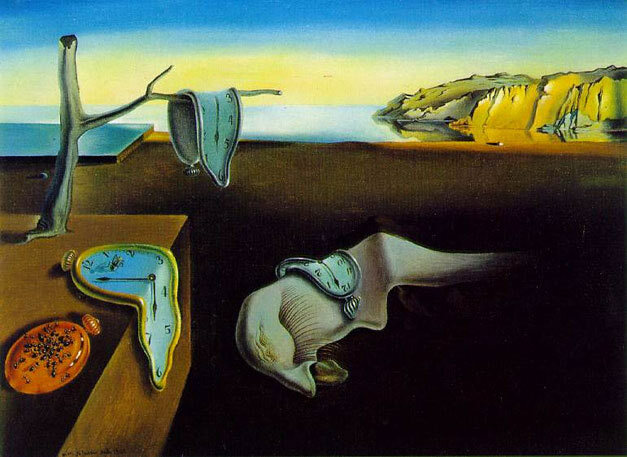 Time: a cool 35 minutes. Call me Half-hour Man today.